Stella Waltz is a Norfolk native. She studied Biology and Physical Therapy at Virginia Wesleyan and Old Dominion University, respectively, and she practiced PT for 15 years, absolutely loving the profession. 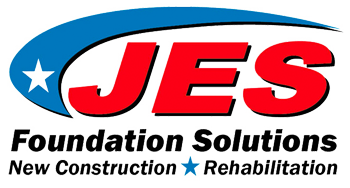 Stella co-owns JES Foundation Repair with her husband Jesse and CEO Matt Malone. Through JES, Stella began an American flag collection campaign to gather people’s old, worn, torn flags, and her interest molded into delivering presentations around the state, for all ages, on American flag history, etiquette, and protocol. She has come to be known by many as “The Flag Lady.” Stella is dedicating tonight’s performance to her parents, who met on a dance floor in 1947, after her father served at Normandy, Iwo Jima, and Okinawa during World War II. They just celebrated 67 years together. Stella likes to ‘unplug’ and have quality time with her children, friends and family. She wants to especially acknowledge her 20 year-old son Ben who was diagnosed with insulin dependent diabetes at age 11, who inspires her daily. She wants Ben to know that she and Jesse will keep working for a cure. Stella enjoys kayaking, cooking, and (full disclosure) board games and roulette. She adds an extra thank you to all U.S. Service veterans and active duty military in the audience tonight.